Another accolade for a Riverside employee! 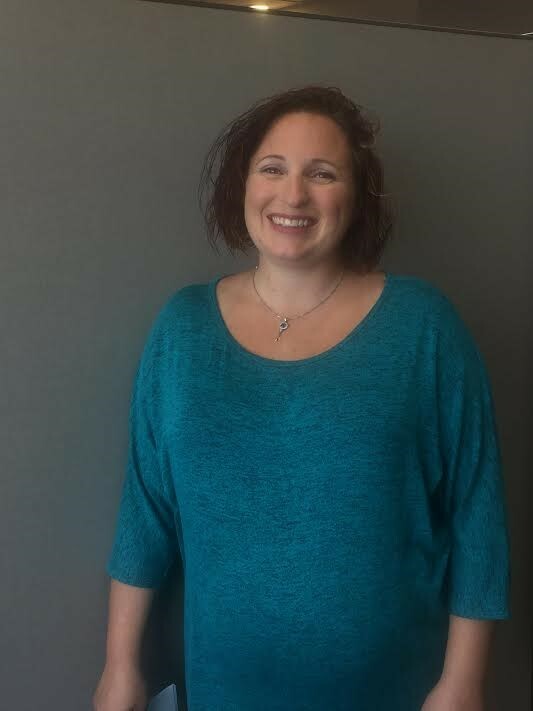 Riverside employee Kim Gregory was recognized as the spotlight employee of the month for NOAA’s National Environmental Satellite, Data, and Information Service (NESDIS) division. She is a member of the Actions Team for the Office of Projects, Planning, and Analysis (OPPA). 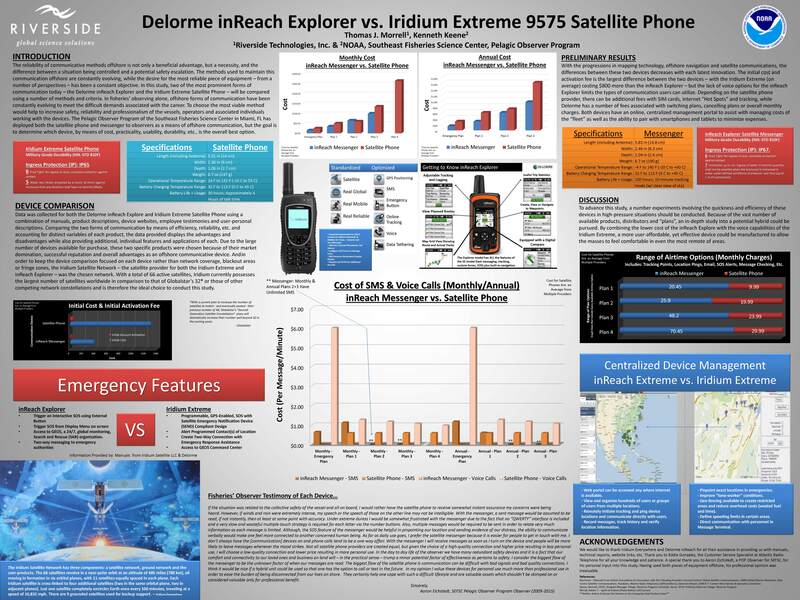 See the article about Kim, which was published in the September 2015 edition of the NESDIS News. Kim Gregory serves as a member of the OPPA Actions Team for the Office of Projects, Planning, and Analysis (OPPA). In addition to her normal “Actions” duties, Kimberly has taken a leading role in OPPA-related media and communications efforts. In addition, she supports the Space Weather Operations, Research, and Mitigation Task Force (SWORM), which is developing a National Space Weather Strategy and Space Weather Action Plan (SWAP). Kimberly has helped NESDIS to meet deadlines leading up to the White House Roll out. Her efforts are critical for the team to stay on track.Most recently Kim wrote a story for the NESDIS website titled: August 7, 1972: A Close Call with a Solar Disaster which generated social media attention, receiving 228 likes on Facebook, 33 retweets and 49 favorites on Twitter and was seen by 16,726 people to date. Kim’s role in media and communications, and her contributions to SWORM, are essential. Her hard work, excellent customer service, dedication, and commitment to OPPA deserve to be recognized. Riverside is honored to have been recently awarded the opportunity to improve river and flood forecasting capabilities in Central America by implementing pilot flood warning systems in Nicaragua and Honduras. Riverside was selected to perform this work as a subcontractor to the University Corporation for Atmospheric Research (UCAR) Joint Office of Science Support (JOSS), which is operating in partnership with the US National Oceanic and Atmospheric Administration (NOAA) and US Agency for International Development (USAID). Please see our website (http://www.riverside.com/news/currentnews.aspx) for the official press release, and if you would like any further information, please don’t hesitate to contact Brian Ashe. And don’t forget to follow us on Facebook, Twitter, and LinkedIn! This time in 2005, much of the Gulf Coast was recovering from Hurricane Katrina, the costliest natural disaster, as well as one of the five deadliest hurricanes, in the history of the United States. Riverside employees and contractors, working at the NOAA Stennis Space Center, weathered the storm in their location near the banks of the Pearl River at the Mississippi–Louisiana border. The stories under the “Our Memories” tab describe the personal impact of Hurricane Katrina on the lives of several Riverside employees and subcontractors. They describe how our people survived the storm (primarily by evacuating), returning to discover almost total destruction, and their efforts to rebuild with the unselfish support of so many people. All of these employees still reside on the Gulf Coast and still work for NOAA at Stennis Space Center. Fred Zeile, Kathy Martinolich, Jaci Mize, and Barbara Ambrose are Riverside employees. Angela Sallis, Lenny Collazo, Susan Gottfried, and David Sallis are Riverside subcontractors with GDIT. Sharon Mesick is a federal employee and our SciTech Task Monitor. Three Riverside contractors presented posters at the American Fisheries Society 145th Annual Meeting in Portland, Oregon August 16-20. The AFS meeting is held for those in the industry to strengthen their knowledge of how freshwater and marine resources are managed, conserved, and restored globally. Thomas Morrell, an Assistant Observer Coordinator for the Miami, FL Pelagic Observer Program, presented his research on different types of communication methods while at sea. 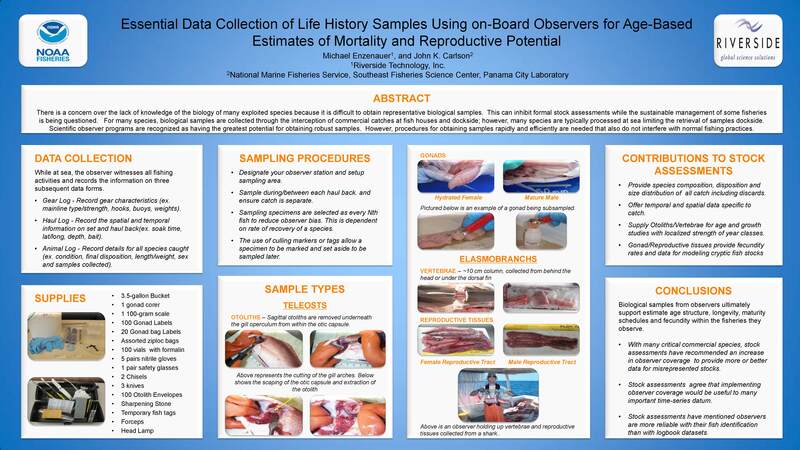 Michael Enzenauer, an Observer Coordinator for the Panama City, FL Shark Longline and Shark Drift Gillnet Observer Programs, displayed his poster that focused on procedures for obtaining biological samples. 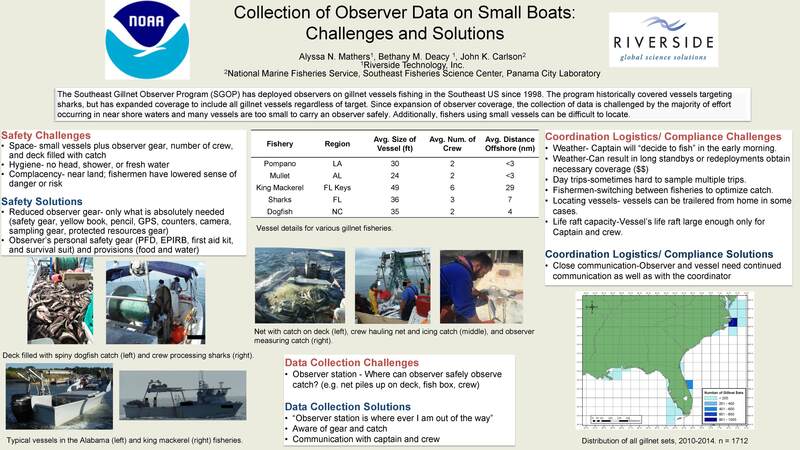 And Alyssa Mathers, also an Observer Coordinator for the Panama City, FL Shark Longline and Shark Drift Gillnet Observer Programs, presented her findings on the challenges of collecting data on small boats.